7on - 7off position available! 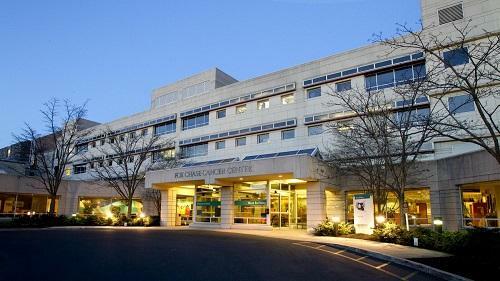 Fox Chase Cancer Center, part of the Temple University Health System – Our commitment to clinical excellence, research expertise, and community health earned us a National Cancer Institute (NCI) designation as one of the first comprehensive cancer centers in the country and one of only 45 in the nation to earn this full designation by the federal government’s principal agency for cancer research and training. At Fox Chase, we diagnose and treat every kind of cancer and offer patients state-of-the-art and best practice treatments as well as clinical trials to cure their cancer. Our researchers have won the highest awards in their fields, including two Nobel Prizes, a Kyoto Prize in basic sciences, a Lasker Clinical Research Award, an Albert Szent-Györgyi Prize for Progress in Cancer Research, American Cancer Society Medals of Honor, memberships in the National Academy of Sciences, and induction into the National Inventors Hall of Fame. Our physicians are also routinely recognized in national rankings, and the Center’s nursing program has received the Magnet status for excellence four consecutive times. Today, Fox Chase conducts a broad array of nationally competitive basic, translational, and clinical research, with special programs in cancer prevention, detection, survivorship, and community outreach.